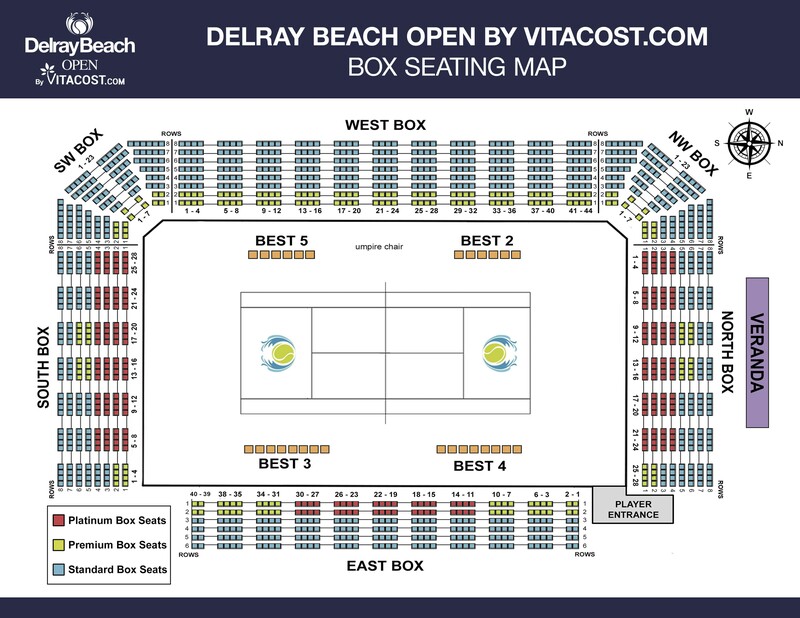 Welcome to Delray Beach, South Florida’s charming ‘Village by the Sea.’ The 9th annual DELRAY BEACH ITF held April 27 – May 4, 2019 and consisting of over 225 statewide, national, and international Boys’ & Girls’ 18-and-under players (incl. qualifying and main draw), is organized by Players International Management (PIM), host to the YellowTennisBall.com Series of over 35 USTA and ITF state, national and international amateur events. Tournament details are listed below. Feel free to call 1-561-330-6003 or email ibaron@YellowTennisBall.com if you have any questions – Good Luck! Go directly to the club your match is schedule at. RS Tennis is a global premium tennis brand developed by 10 times ATP Tour Champion and 2 times Grand Slam finalist Robin Soderling. Robin is the first ATP Tour champion ever to develop tennis balls and strings. RS is known for its excellent quality and modern branding. RS tennis balls have been used in 6 ATP tour events and the premium RS strings is used by players on the ATP and WTA tour as well as top juniors around the world. Enter: Players must register through their ITF IPIN number. If you do not have an ITF IPIN, you can register for one at www.itftennis.com/ipin . Only players with IPIN numbers are eligible to play in the event . *Doubles: Best of three tiebreak sets with a match tiebreak (10 point) in lieu of the third set (NO-AD scoring). *No consolation or 3/4 Playoff in Singles or Doubles. Trainer: Athletic training services will be available throughout the week. Please check the trainers’ schedule that will be available at each tournament site. If you desire athletic training services please go to a site where a trainer stationed. You are still responsible to be ready to play at your scheduled match time. If you have specific treatment needs or any questions related to sports medicine that you would like to address prior to or during the tournament, please feel free to contact the head trainer, Raphael Patino from Dynamic Fitness Solutions, patino.raphael@gmail.com or (954) 651-0655. We look forward to working with you and good luck! 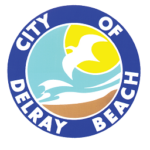 Stringing: Tournament will provide on-site (Delray Swim & Tennis Club) professional stringing services Friday April 26 – Friday May 3, 2019. All string/stringing fees are CASH ONLY. Tournament will also post a list of local stringing options. Weather: It is normally warm in S. Florida in May. Please remember to drink plenty of fluids before, during and after matches. Suggestion: Bring a cooler filled with ice water and a hand towel, use the towel to cool your head, neck, etc during play. Singles Qualifying, Main Draw and Doubles Sign-In held at the Delray Swim & Tennis Club. 2350 Jaeger Drive, Delray Beach, 33444. Directions: I-95 to Linton Blvd, head east 3/4 mile, turn right on SW 10th Ave., go to stop sign & go left (Lindell), go 2 full blocks to roundabout and go left on Dotterel, go 1 block to Jaeger Drive and make left. Clubhouse on the left. Check-in at the site that you compete at. Please only call the main tournament number (561-330-6003) for match and tournament related inquiries – tournament sites should not be called for anything related to match information. DELRAY SWIM & TENNIS CLUB (DS). 2350 Jaeger Drive, Delray Beach, 33444. Directions : I-95 to Linton Blvd, head east 3/4 mile, turn right on SW 10th Ave., go to stop sign & take a left (Lindell), go 2 full blocks to roundabout and go left on Dotterel, go 1 block to Jaeger Drive, make left. Clubhouse on the left. To reserve practice courts before Sat., April 27, call 561-243-7058. 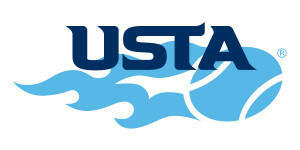 Beginning Sat., April 27, courts may not be reserved, courts are first-come-first serve. Below is the practice court schedule. Call the tournament office (1-561-330-6003) if you have any questions. Practice Courts (during event; CLAY COURTS): Saturday (10 cts: 7:30-8:15am; 3 cts: 8:15am – 7pm), Sunday (10 cts: 7:30-9am; 2 cts 9am – 1pm; 7 crts: 1-6pm), Monday & Tuesday (10 cts: 7:30-8:15am; 3 cts: 8:15am – 7:30pm), Wednesday & Thursday (10 cts: 7:30-9am; 2 cts: 9am – 7pm), Friday & Saturday (8+ cts: 7:30 – 9am, 3+ 9am – dark). PLEASE NOTE: Courts not available before 7:30am – strictly enforced. Thank you. 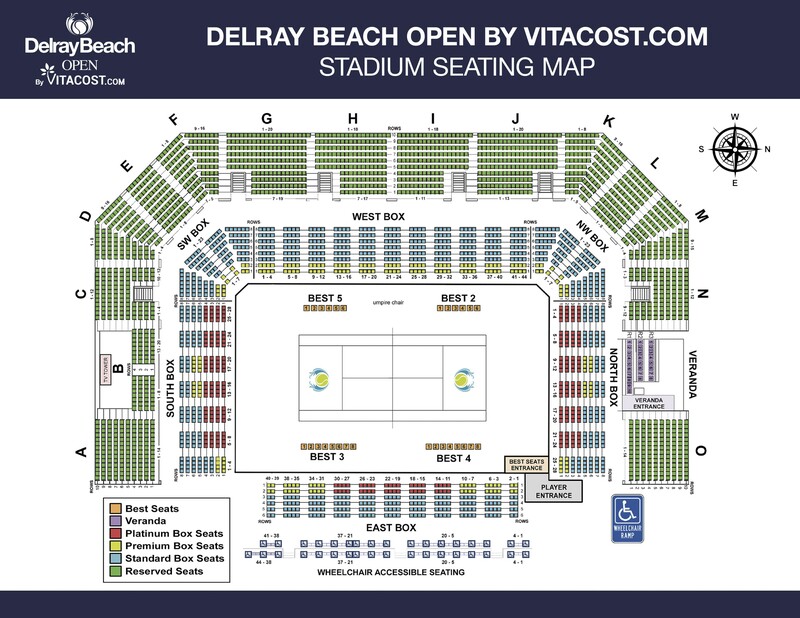 DELRAY BEACH TENNIS CENTER (DB). 201 W. Atlantic Ave., Delray Beach, 33444. Directions: I-95 to Atlantic Ave., head east, club 1 mile on the left. Practice Courts – Friday, April 26 (evening only): Call 561-243-7360 to reserve lit courts, based on availability and minimal fee for courts/lights. Practice Courts (HARD COURTS). Beginning Saturday, April 27. Call 561-243-7360 for availability. Rates start at $109.00. To make your reservation: Click here. This special tournament offer rates beginning at $109.00 for a One King or Two Double bed(s); $129.00 for Pool View, One King or Two Double bed(s) accommodation or choose the Suite with a private balcony overlooking our lush courtyard and pool at only $169.00. Rate includes breakfast for up to two guests per room. Rates starting at $139. Reserve by 3/28/18. To make your reservation: Click here. 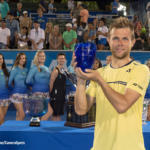 The Delray Beach Fairfield Inn & Suites Delray Beach is pleased to welcome all participants and guests for the 2019 ITF Open. 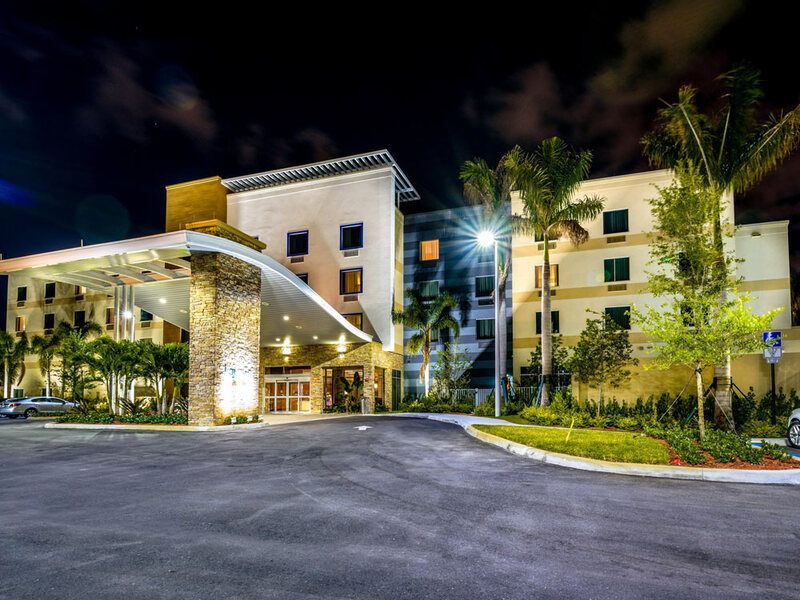 We are located just 1/2 mile from the Delray Beach Stadium & Tennis Center. Our hotel offers a complimentary hot buffet breakfast daily as well as complimentary wireless internet and parking to all of our guests. 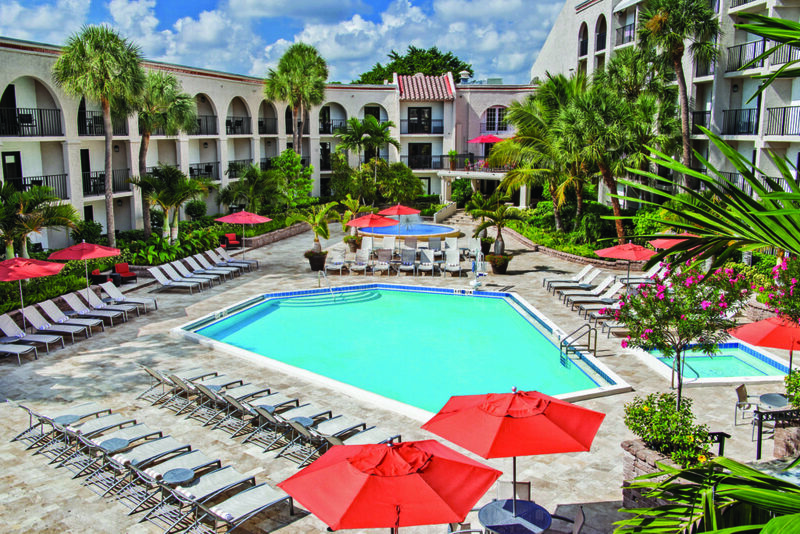 There is on-site guest laundry, an outdoor pool, and a spacious 24 hour fitness center.